Holidays are the time to visit new places, experience new things, make new friends, learn new languages and generally do all things that will make one happy, refreshed and rejuvenated. Spain is a great tourist destination and it has been recorded that over 50 million people visit Spain each year. The lure of visiting a new destination cannot be ignored especially if one has been reading reviews and hearing other people raving about it. Here are some of the most visited cities in Spain – Barcelona, Madrid, Marbella, Canary Islands, Cordoba, Santiago, Balearic Islands, Murcia, Pamplona, Huelva and San Sebastian. Visiting these cities will not be overtly expensive if one plans well ahead of time. Booking the tickets earlier will save a lot of money and time. The well-maintained cities in Spain beckon the traveler to come and spend several days in at least one of them. There is a dotting of both traditional and modern buildings in this lovely place. One will be impressed by the long and old winding streets and baffled by the amazing traditional structures that were erected during the Roman connection, the Islamic period and the Gothic times. One will have the privilege of visiting extravagant medieval castles in Spain; most of which are tucked away in small villages. Spain is located in the Iberian Peninsula and it occupies almost 85% of the whole peninsula. It has Portugal on its Western side and the Atlantic Ocean on its northern side. The Strait of Gibraltar and the Mediterranean Sea separates Spain from North Africa. On the Mediterranean side of Morocco, one can see two cities that belong to Spain – Melilla and Ceuta. The Balearic Islands, also a part of Spain, lie in the Mediterranean Sea. There are miles of mountains on the perimeters of Spain and several mountain ranges inside the country. The high plateaus of northern and southern Spain are divided by these mountain ranges. The highest point at 3,719 m in Spain is called Pico de Teide in Tenerife. One will find that 98% of the people living in Spain are Roman Catholics. The coastline of Spain enthralls visitors and tourists who return every year to get a view of the beautiful place and to bask in the sunshine filled beaches. The lush greenery of the forests and long sandy beaches are enough to lull anyone's spirit and soul. There is a wealth of languages spoken in Spain. The major language spoken is Spanish and one can hear Spanish and the regional languages of Catalan, Basque, Aranese and Galego as co-official languages spoken here and there. Once upon a time, centuries back, Spain was known as Castillian, and the official language of Spain was Castillian. Spain has a richer history and culture when compared to all other countries in the European continent. Several tribes came and ruled and this caused the country to have a variety of influences. The Carthaginians, Romans and Arabs all benefited from conquering this great land. All these influences shaped the land seen now. The glorious past of Spain also suffered in the hands of people engaged in civil revolts and minor wars. Just like the rich artistic heritage of the country, Spain is proud of some commendable culture, thanks to their awe-inspiring events and festivals. Everybody knows that Spain is known for its bullfights, numerous expansive beaches, warm sunshine, music and dance. For thousands of years now, Spain has been considered the cultural center of Europe. The Roman ruins seen in Tarragona and Merida, the pre-historic monuments seen in Minorca located in the Balearic Islands, the cathedrals sporting Gothic architecture and the elaborate fabulists sculptures found in Barcelona are all parts of the rich culture in Spain. Spain is an education center for those who are looking to further their career prospects. There are several universities in Spain, both in the public sector and in the private sector in different fields of study. Anyone planning a vacation to Spain this season should be sure to get involved in some adventurous sports like bike riding, diving, flying, surfing, cruising and even golf. There are cruises and trekking facilities for the ardent vacationer. A transatlantic cruise will let one travel to the US too. There are religious pilgrimages for people who are inclined to it. There are plenty of opportunities for people who are interested in art, music and theater. Spain has been home to several well-known artists and painters. Picasso, Goya, Dali, El Greco and Velazquez drew their inspiration from this enigmatic city in the country and several art galleries display their talent. Exciting up-scale shopping opportunities are offered in Barcelona, Madrid, Marbella, Valencia and Seville. There are several side street stalls, open-air flea markets, elaborate shopping malls and designer boutiques. A vacationer with bargaining power will do well at these flea markets. A tourist doesn’t have to spend loads of money while eating out in Spain. Compared to items in France and Portugal, all food items are considerably cheaper. The meals are balanced, nutritious and tasty. One can visit the small hotels and snack bars to enjoy the tapas and to sample the local flavors there. Visiting small bars is a money saving option for a conscious spender and they contain all types of foods ranging from vegetables to extremely tasty seafood varieties. There are many hundreds of fish recipes in Spain and one can find many tasty fish dishes here because of Spain’s proximity to the coastline. Each region and city has their fish delicacies and they are all worthy if one is not a vegetarian or allergic. Apart from fish, there are a lot of oranges, fresh olives, and several other varieties of fruits and vegetables in Spain. A wine drinker will enjoy his time in Spain. Spain brews her own wine and there are special wines produced in their large sized wineries. There is also plenty of lager like beers. Different kinds of drinks are popular in different regions of Spain. Most of these drinks, especially the wines, are named after the regions in which they were produced. 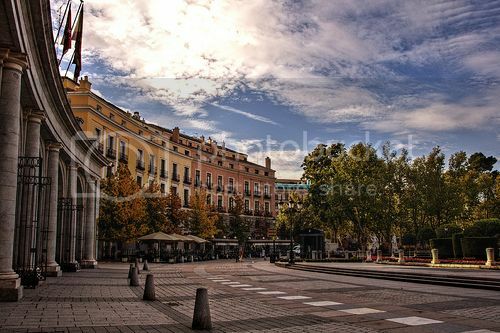 Valdepeñas is an area between Madrid and Cordoba and hence, it is called so. It is a rough wine, but pleasant enough to be liked by most. The sherry produced from Jerez is very tasty and is an export item in Spain. Most of the sherry is exported to Britain. Spain produces four kinds of sherry – fino: a pale and dry sherry; amontillado: a dry but rich wine, oloros, which is fragrant and golden in color and finally dulec: for those who love sweet wine. While visiting Basque Country, one will enjoy the sparkly, sour taste of chacoli: a green colored wine. Some of the wines are really inexpensive, so savoring them should be a must on the vacation list of activities. A nocturnal bird will enjoy his time in Spain, because most of the Spaniards are night birds. The highly active nightlife attracts hordes of people every year. Madrid is the night-out hotspot in Europe. The city actually never sleeps and is often considered the nightlife capital of Spain. Visitors should have an idea of the nightclubs in Spain before visiting the country. Most of the hottest nightclubs in Barcelona do not open their doors until well after midnight and to enjoy a nighttime true to its epic proportions, one must visit Spain and its nightclubs. Madrid is another city that is the hub of nightlife and it is not unusual for a person to be stuck in traffic jams at 4 am. Most of the discotheques and bars do not open until 11p.m. and some even open at 1 am. Playa de Las Americas in Southern Tenerife is always abuzz with activities at night. Spain has an agreeable weather, the summers are long and warm and the winters are mild. Madrid could be a bit dry as rain scarce there, but the heat there is not oppressive. The best time of the year to visit would be summer if the vacationer is looking for some sunshine. Some may find it hot, but most people actually like it. July and August are busy times of the year for tourists. To get suntanned, one can visit Spain in September but avoid Madrid and Seville. The Fiesta of San Antonio Abad is a full time party event and is held every year in the town of Arona. It consists of a week full of celebrations, music and festivals. Canary Islands celebrate the San Andrés Festival - carnival conducted in the traditional way - a fortnight of singing, dancing and partying. Sabandeño Festival is another folklore music festival in the Canary Islands. Many local celebrations occur in the Santa Cruz de Tenerife where people dance to music from salsa bands. Several street and local bands blend their Caribbean and European style into their festivals. These festivals are filled with grandeur, colors and visual spectacles. It is during the 27 days of the carnival that the election of the beauty Queen is also held. A wine drinker should make it a point to visit the wine tasting festival held in Puerto de la Cruz and Icod, La Orotava. There are lots of parties, festivals and carnivals to attend in Spain. A vacationer can enjoy weeks of food, fun and frolic. The jazz festival is one of the most sought after events in Spain and people who are thought to be jazz masters attend the event. Planning a vacation in the October – November season to Barcelona will feast one's eyes and ears to the most awe-inspiring annual jazz festival held in the city. Since Spain is a great tourist destination, there are many places to visit and one vacation is just not enough. Places to visit include Thyssen-Bornemisza Museum, Madrid; The Prado of Madrid (a well-known museum); Monasterio de las Descalzas Reales, Madrid; Museo de América in Madrid; Science park of Granada, Alhambra and the Generalife in Granada; The Plaza de San Nicolas and Sacromonte Hill, Ganada. Tenerife is a great holiday spot and most people who visit Spain make their way there. If possible, the traveler can visit the flower gardens in Spain because there are more than 8000 different varieties of flowers. It is definitely a treat to the eye. Because of the huge success of all the cities in Spain, it is a booming center of business and the currency is Euro. Since there are hundreds of activities in Spain and many events in the numerous cities in this great place, one will need to have a travel tour guide to help him with his vacation planning. You can find several government-registered agencies to help with transportation and sightseeing. Since tourism is a major source of income in the country, the holidaymaker will have no problems while traveling in the city and it is one of the safest places to visit any time. The address and details of all the tourist offices can be found on the Internet and agents are ready to help any tourist in distress. The tourist offices can be accessed according to location. The most important concern while traveling to Spain is the accommodation part. Hotels, restaurants, resorts and apartments are readied to accommodate the changing needs of the discerning traveler. The stay will satisfy even the choosiest of all people. Here are some of the top resorts in Spain – Calella de Palafrugell, Llafranc, Tamariu, Aiguablava, Cadaques, Costa Dorada and Costa del Sol. These resorts are not very expensive. They are designed to suit the tastes of all classes of people – middle class or otherwise. Going through their fabulous brochures will evoke an adventurous spirit in anyone and will have him book the tickets right away. For those who like to spend some time in the caves, they have the cave hotels. Staying in the Spanish countryside will stir up many warm feelings because it is simply pleasant and remarkable.